If you enjoy camping in the great outdoors with friends or family then this Forest River Rockwood Freedom 1980 pop-up camper is just for you! 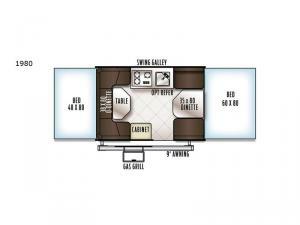 There is plenty of space for late night games to be played on either the 35"x 80" booth dinette or the U-shaped dinette which both can also be converted into sleeping spaces. 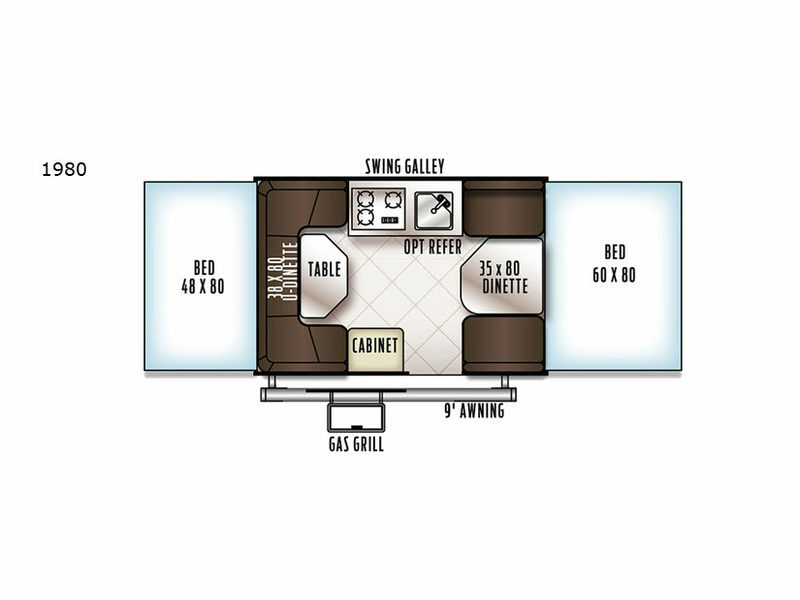 The swing galley feature allows you to set your sink on either the floor while traveling while the camper is down or on top of the sink base while in use. If you have a grilling master then they are sure to enjoy using the outdoor gas grill. A 9' awning with an LED light strip gives you protection from the sun so that you can continue to enjoy your outdoor adventure!